Ilya Yefimovich Repin (Russian: Илья́ Ефи́мович Ре́пин, Ukrainian: Ілля Юхимович Рєпін; 5 August [O.S. 24 July] 1844 – 29 September 1930) was a Russian realist painter. He was the most renowned Russian artist of the 19th century, when his position in the world of art was comparable to that of Leo Tolstoy in literature. He played a major role in bringing Russian art into the mainstream of European culture. His major works include Barge Haulers on the Volga (1873), Religious Procession in Kursk Province (1883) and Reply of the Zaporozhian Cossacks (1880–91). 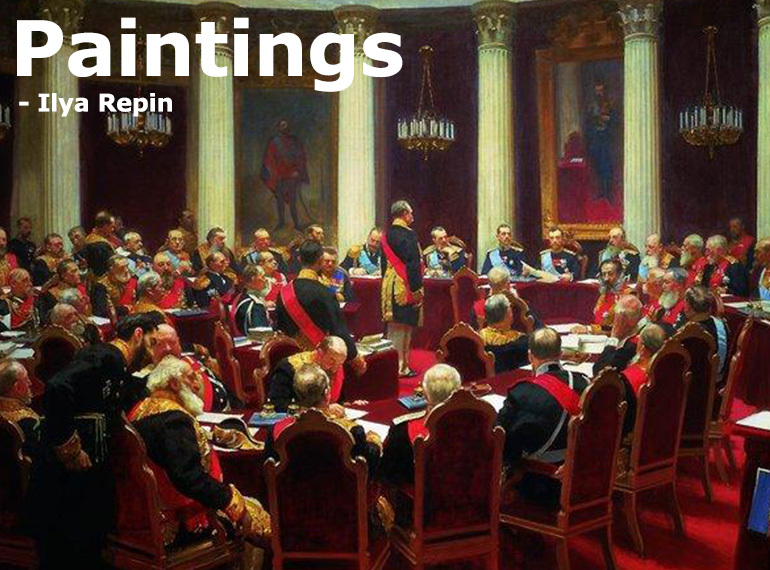 Best of Painting Collection, 541 Artworks by Ilya Repin.